Let’s face it: big phones are here to stay. Samsung first made people want them with the original Galaxy Note, and we have not looked back since. Even companies like Apple, which stuck to smaller smartphones for years, eventually followed the trend with the iPhone 6 Plus in 2014. There are now more options than ever when looking for a smartphone with a big display — it’s easy to get overwhelmed. This is especially true right now, as late 2018 brought a ton of new phones, many packing large screens. Whether you are undecided or simply want a second opinion, here is our list of the best big phones available right now. Want a big 6.3-inch AMOLED display and equally-large 4,000mAh battery? They’re here. Looking for at least 6GB of RAM and at least 128GB of expandable storage? Look no further. Hate notches? There isn’t one in sight. The Note 9 even comes with the series’ characteristic S Pen, which now adds tons of extra functionality via Bluetooth. The phone has no peer when it comes to its sheer number of features. If you can think of a software feature, it probably has it. The S Pen brings features that no other phone has. The phone starts at $1,000. Bixby continues to not be particularly good and its button cannot be officially remapped. Based on precedent, software updates will be slow to arrive. The story of the LG V40 ThinQ starts and ends with its five cameras — three around back and two up front — something no other phone’s done. Even though we were not very kind to the V40 ThinQ, the phone has potential options not seen in other phones. The phone can take regular, wide-angle, and telephoto shots. The 32-bit Quad DAC pumps out great audio through the headphone jack. The Google Assistant button is actually useful. The images do not live up to the hype. The features do not justify its almost-$1,000 price tag. Based on precedent, software updates will be extremely slow. It might not have the bells and whistles of the Galaxy Note 9 and V40 ThinQ, but the Pixel 3 XL focuses on speed, ease of use, and being helpful. We didn’t call the Pixel 3 XL the Android iPhone for “the clicks” or lulz, but because it is the Android phone designed to appeal to everyone else. Its value is more than just specs on paper. The software is extremely fluid and gets updates directly from Google. The single rear camera delivers an excellent and consistent photo-taking experience. The learning curve is one of the smallest we have seen from an Android phone. You do not want to spend $899 on a smartphone. Most of its headlining software features will trickle down to existing Pixels. There is a lack of widespread availability. The Huawei Mate 20 Pro is an excellent, but, expensive, all around handset. That’s partly due to its big 6.39-inch AMOLED display, which shows off content extremely well. It also has three rear cameras on board, including a 40MP sensor, and it has Huawei’s fastest chip yet in its Kirin 980 processor. If you really want to go nuts, the Huawei Mate 20 X is for you, if you can get it. It has a 7.2-inch AMOLED display, basically the size of a small tablet. The Mate 20 X has the biggest smartphone screen you can currently buy. Both phones are very powerful. Both phones are highly expensive. 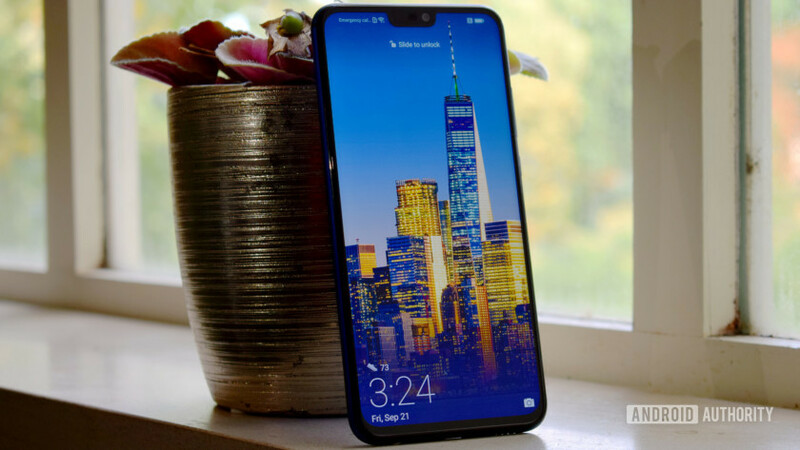 Both are hard to get in the U.S.
It’s not as flashy as the Galaxy Note 9 or as fluid as the Pixel 3 XL, but the Honor 8X one of the best mid-tier smartphones and one of the best affordable big phones you can buy. This is a supersized phablet that comes in at under 300 euros (~$345), yet it delivers snappy performance and a stunning design. Look no further than the Honor 8X if you want a smartphone to make your wallet happy. The 3,750mAh battery has no problem surviving two days of use. The premium design, performance, and storage options are a cut above your typical mid-tier smartphone. You can buy four Honor 8Xs for the price of one Galaxy Note 9. The camera performance is hit or miss. Dated hardware choices, such as a Micro-USB port and single bottom-firing speaker. There is no IP rating. In any discussion of big phones, the iPhone XS Max is the elephant in the room. Notch haters will gravitate to the top, but everyone else will focus on the smooth performance, fantastic display, and great cameras. It may be cliche, but the iPhone XS Max is what happens when hardware and software meet in the middle as equals. Also, you really don’t have many other options for non-Android these days, with Windows Mobile pretty much dead. The A12 Bionic and iOS 12 optimizations deliver excellent performance. The display rivals the Galaxy Note 9. The phone slots in nicely with the rest of Apple’s ecosystem. The phone starts at $1,099. The software does not make proper use of the large display. Reports of phones not charging and antenna problems. We will continually update this list as manufacturers release more phones. You should also look out for the Huawei Mate 20 Pro and Mate 20 X, though we haven’t had enough time to fully review them. Perhaps one or both will make the list soon! If you feel like we left something out or believe we nailed it, let us know in the comments below!